Table Runners, Rulers, and Bindings, Oh My! Practice your rulerwork skills with this simple project. 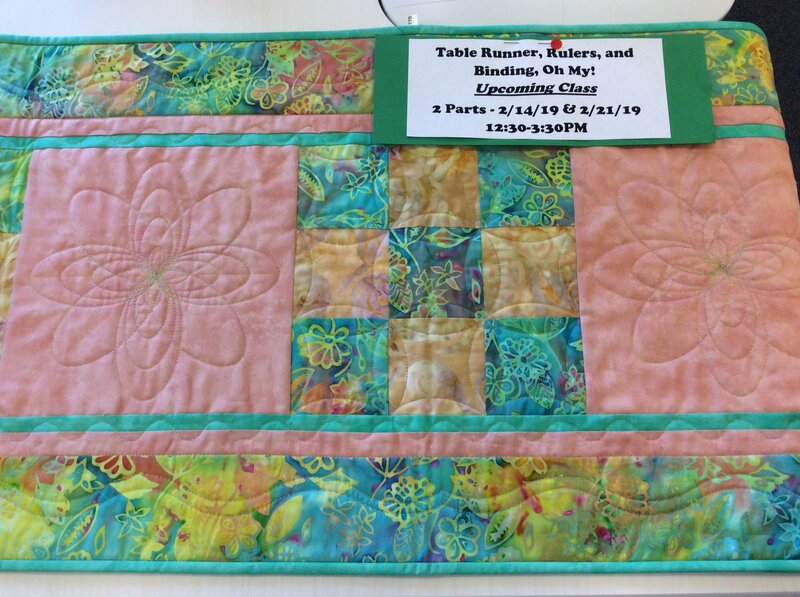 Week 1, you will piece the table runner in class. Week 2 you will get to experiment with any quilting rulers that you own, or you may borrow one of Lucy's several rulers.